Delegate: Mr. H.W. Boomsma , Ministry of Economic Affairs. The Netherlands does not have a national strategy for ocean energy and nor are there specific targets. The ocean energy strategy is part of the national target of 16% renewables in 2023 and a 49% overall CO2 reduction in 2030. The marine spatial planning is focused on offshore wind, special areas have been appointed for offshore wind (3500 MW). There are no commercial offshore ocean energy projects planned yet. A spatial analysis of the potential of the North Sea with a view to 2050 has been made, with regard to offshore wind, seaweed and ocean energy. The North Sea Spatial Agenda indicates a potential of up to 2000 MW of tidal current and wave energy to be possible, if techniques are developed further to fit the Dutch situation, with relatively low tidal heads and speeds. Although in some cases there is fast flowing water of estuaries, and near barriers there are places with high speeds up to 5 m/sec. Although there is a central permitting system, in practise consenting requires engagement with a wide range of permitting bodies, such as central government, province, municipality, Rijkswaterstaat, local harbour authorities, Ministry of Defence and the regional water board. The Netherlands’ Department of Waterways and Public Works (Rijkswaterstaat) supports initiatives to generate energy, but on the other hand is responsible for protecting the Netherlands from flooding from the North Sea. In general, the current projects have been supported generously and erected quickly. For 2019, the generic national subsidy scheme (SDE, stimulating renewable energy), has also been opened for tidal current, wave energy and free flow energy. The maximum subsidy for renewables has been reduced to €0,13/kWh, due to the decreased costs of offshore wind, which is considered as the benchmark. Business and other organizations joined forces in DMEC, the Dutch Marine Energy Centre. In addition to the above mentioned feed-in tariff (OPEX subsidy), there are generic funding programmes (CAPEX subsidy) for all relevant types of renewable energy. The Ministry of Economical Affairs initiated a number of grants via generic R&D instruments; these are also available for ocean energy research. These programmes have a tender system in which projects compete with each other, and have a general condition that a cost reduction must be achieved by innovation. 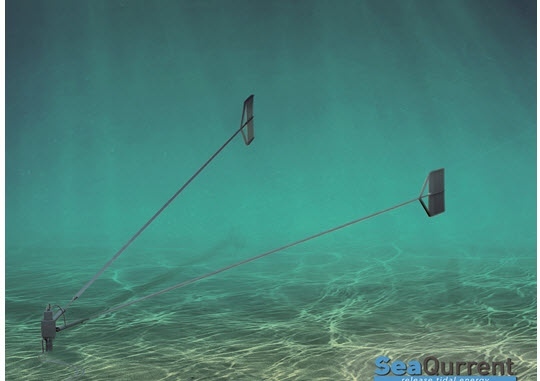 In 2018, SeaQurrent further developed their tidal kite, aiming at moderate water speeds. The concept has been validated at the test facilities of MARIN. 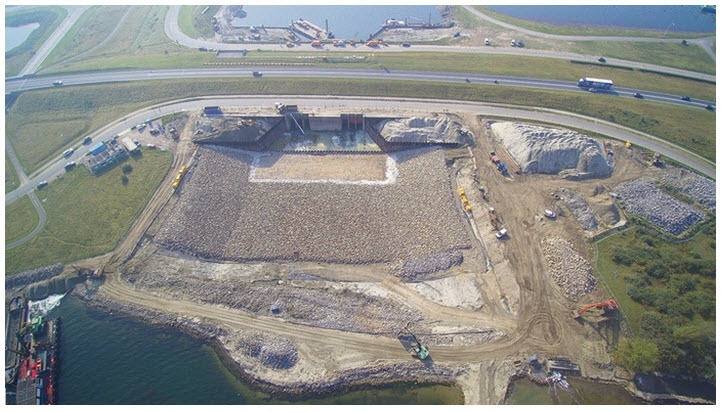 In 2019, SeaQurrent plans a first commercial demonstration project in the Wadden Sea, north of the Netherlands. Blue energy is energy generated from the difference in salinity between river water and sea water, for example at the point where a river naturally empties into the sea. According to Redstack, mixing 1 m3 of river water with 1 m3 of sea water can generate up to 0.5 kWh of electricity. Reverse Electro Dialysis (RED) is a salinity gradient power technology that makes use of two types of membranes: one allows only positive ions to pass through, and the other allows only negative ions to pass through. Electricity can be generated by arranging these two types of membranes in a RED stack. The amount of energy generated is related to the difference in salt concentration of the two solutions – the larger the salinity difference between the two solutions, the more energy can be generated. Blue Energy generates energy without producing COâ‚‚, is easy scalable, 24/7 available and the only “waste” product is brackish water. Blue Energy is a perfect candidate for base-load energy production and application in the energy-mix. 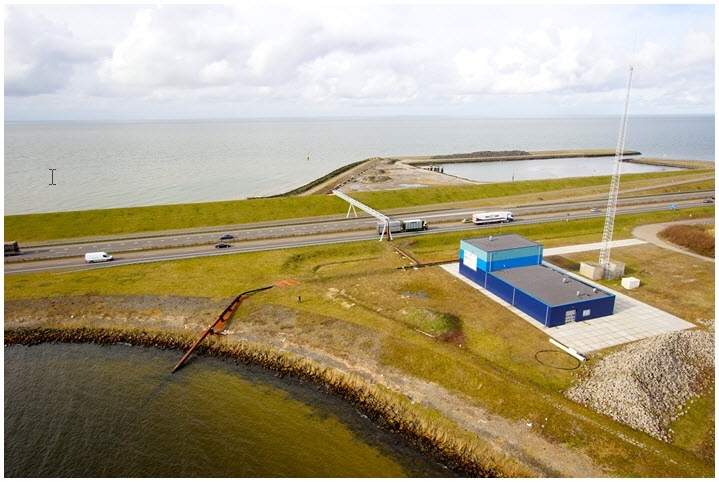 After testing the technology at the pilot facility on the Afsluitdijk, Redstack now aims at a first demonstration plant in Katwijk (near The Hague), where the salinity gradient is optimal. In 2018, Tocardo further tested their 1.25 MW tidal power plant in the Eastern Scheldt. Tocardo is now planning a 2 MW successor, also consisting of 5 separate turbines. In 2019, after a delay of one season, the Tidal Technology Centre Grevelingendam plans to open its test facility. This test facility offers three differently sized channels for low head tidal turbines. Tocardo, 1.25 MW tidal power plant in the Eastern Scheldt, operational since 2015. The 4th annual Marine Energy Event was organized in cooperation with the Dutch Energy from Water Association (EWA) and the Dutch Marine Energy Centre (DMEC) at Amsterdam RAI on 24 October, focusing on wave, tidal, ocean thermal and salinity gradient technologies.